Perhaps my love for India began in childhood; working and running through the long rows of blueberries my family farmed in Richmond, British Columbia. I believe my love for international travel was due to the exposure I had to Indian culture while growing up on the farm. In the early years, when I was about 7 or 8 years old, I’d wake up to the sound of Punjabi, the language spoken by the pickers who had pooled outside my bedroom window as early as 5:30a.m., waiting to be taken to different fields. Most of the people I worked with on the farm were from India, and I’d often spend my lunch time with them in the field sitting on empty orange 30 lb. boxes, eating roti stuffed with curried cauliflower. I loved it! Unconsciously, the passion to understand their culture began to unfold and as I grew up and moved away, I longed to hear the rhythm of their words and watch the movement of their body language in simple and full on animated dialogue; to smell and taste their food and understand their traditions – their history, their beliefs and rituals, their customs – their music. In 2004, I was living in Japan teaching English and finally made my first trip to India. It changed my life irrevocably. 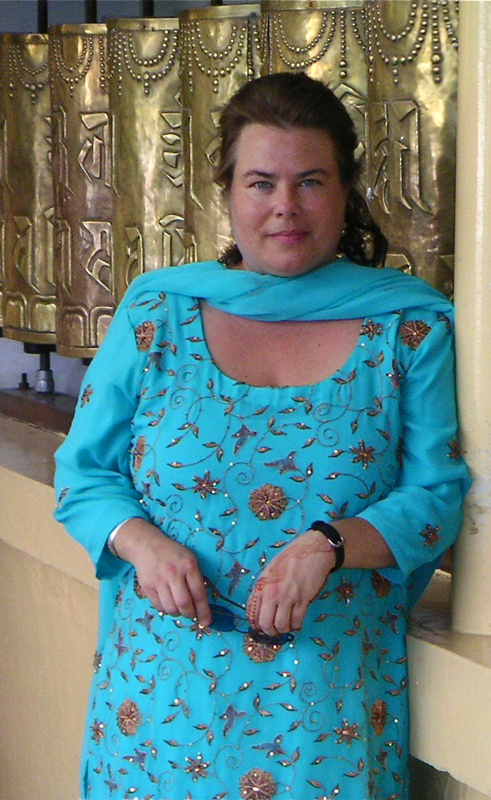 Now almost a decade later, I returned to India to conduct field work as part of a Masters Degree in Intercultural and International Communication. It has been a journey steeped in reflection as I gained a new understanding of the magnitude of complexities this country faces in terms of development communication; the struggle to maintain traditions while moving forward into the globalized world; giving voice to the marginalized and oppressed; ceasing human trafficking, domestic violence and child labour; and raising the literacy rate so that all citizens can choose to better their lives. These issues are all in transition in India but are further complicated by governmental complications, such as corruption, and the lack of organized services – waste management or transportation for children to attend school. The people of India are rising to make the change they want to see in their world through NGOs and international exposure. And yet, fundamentally, India continues to rest on her traditional rituals as the foundation of her strength. Spiritual practice is integral to the well-oiled wheel that makes India turn. One can hear this so clearly in the aural soundscape that India expresses. I chose to capture the essence of India through soundscape recordings to understand the lived experience of this country. Each geographical location carried with it similar expressions but with unique influences that would emerge to center stage. For example, music was heard in many recordings even if it was not dominant. When I asked the tribal people of Manipur what they liked to listen to on the radio – they said the singing program. I feel that to have really captured the totality of India’s expression I would have had to spend at least six months gathering data from each state as they are all so unique. But for now, these 8 locations can offer a sample of experience to listeners. To listen to different cities, simply click on the cities to the right of this page under the heading “Soundscapes”. Once you’re on the new page and have read the description of the recording, there is an embedded video at the end of each location. Just click the play button. Each video has one minute of blackness – this is to allow the listener the opportunity to experience the location completely through sound. The next minute is audio and video so that you can see what you were listening to. At the bottom of each page is a map showing you where the locations are in relation to one another as most cities have more than one location to listen to. It is my hope that your understanding of India is enriched through this site and that if you have not made the journey over there, one day you will walk the ancient streets of this beautiful country we call, India. sharing the same love for India ! Thank you Christine – I’ve added a few soundscapes to the site – hope you enjoy! Wow! The site, and your picture, look great. I hope you are having a good time out there! Wow, wow wow Lee, such a great site and souvenir to cherish for years to come, You can see and HEAR the amount of work and passion that was put into this, well done! I totally enjoyed your soundscape of India, the sounds and the History of the different sites that you visited was really amazing and educational. What an experience this was for you. You did an excellent job. Thankyou for sharing. Wow Lee! What a great project! You are so awesome.